Happy Halloween, dear friends! 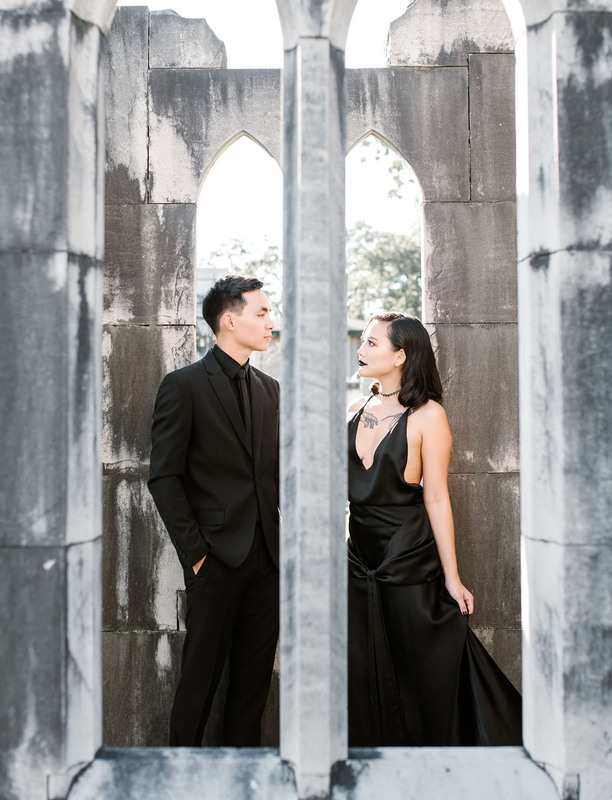 We never fail to get an abundance of, shall we say, darker inspiration hitting our inbox this time of year – and though it’s hard to choose, we love sharing our favs! 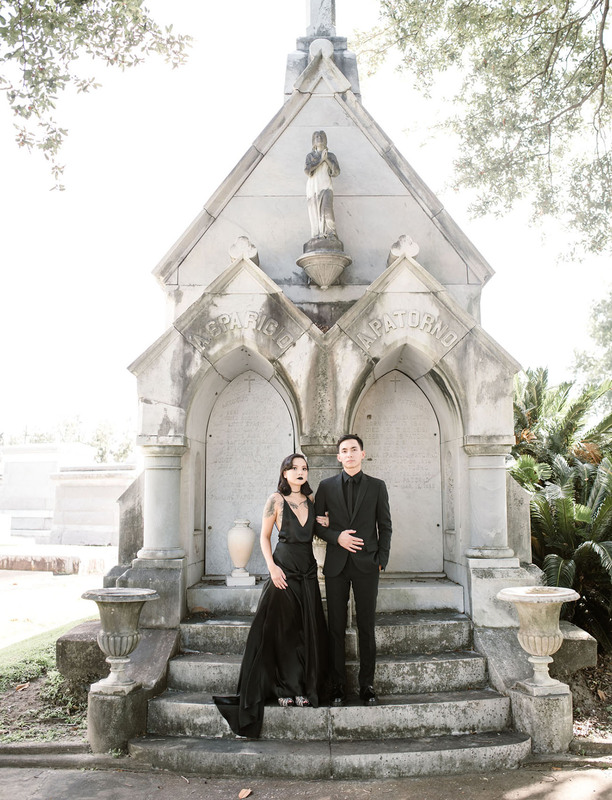 Take today’s engagement shoot, photographed in New Orleans’ historic Metairie Cemetery: we find it hauntingly beautiful, some might even say, to die for? 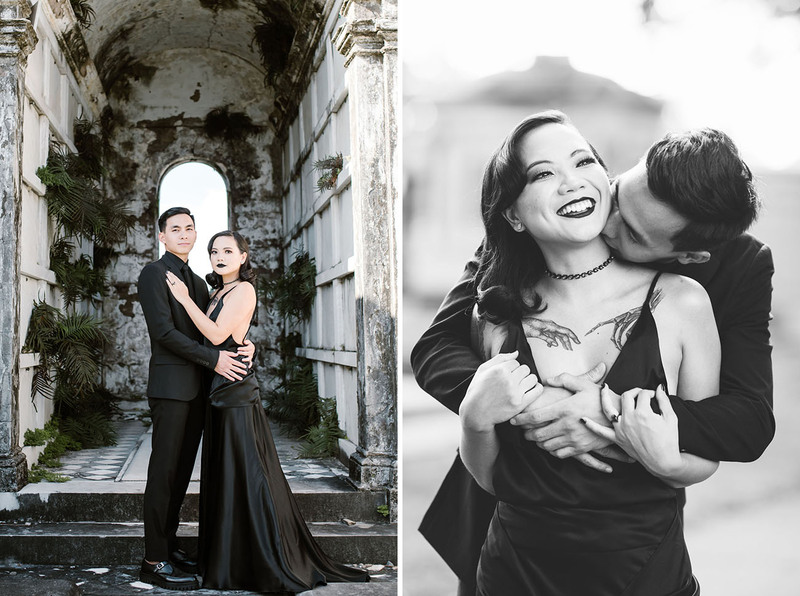 For Cecile + An, it was the perfect location to capture their enduring love. 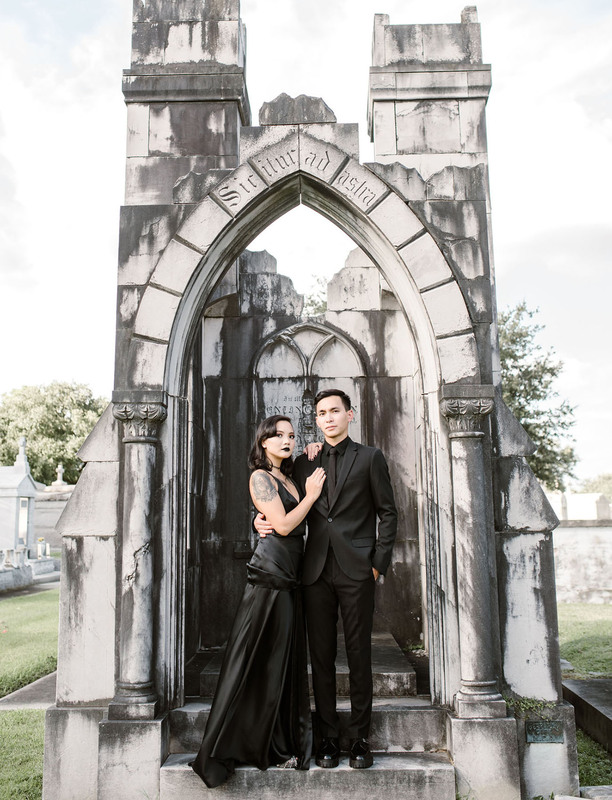 Cecile tells us: Doing our engagement photos at a cemetery was, selfishly, my idea. Wandering cemeteries became a sort of pastime of mine when I realized I liked visiting famous dead people’s graves, mostly architects. They design their own tombstones so it’s essentially like touristing a landmark, except cemeteries are always free and not very full of tourists. My obsession for architecture and design stems from being the daughter of an architect and a fashion designer. 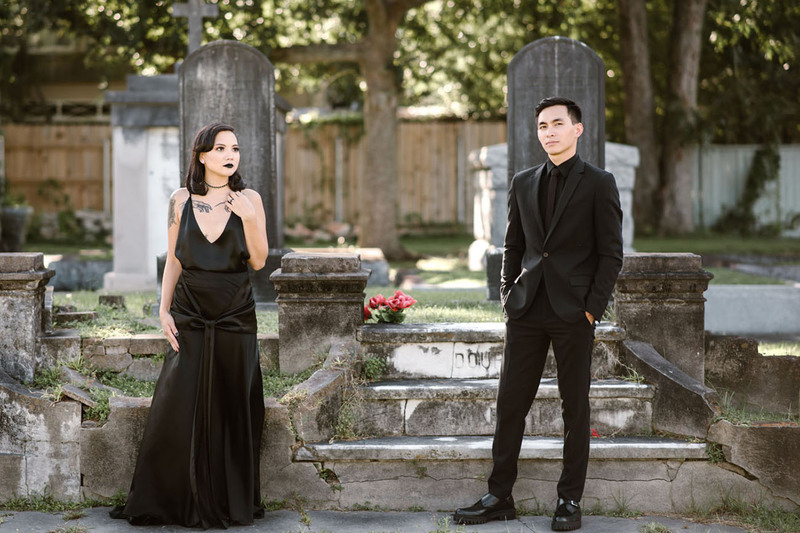 In a cool coincidence, my father used to work for the cemetery where we took our photos and my mother made the dress I wore. 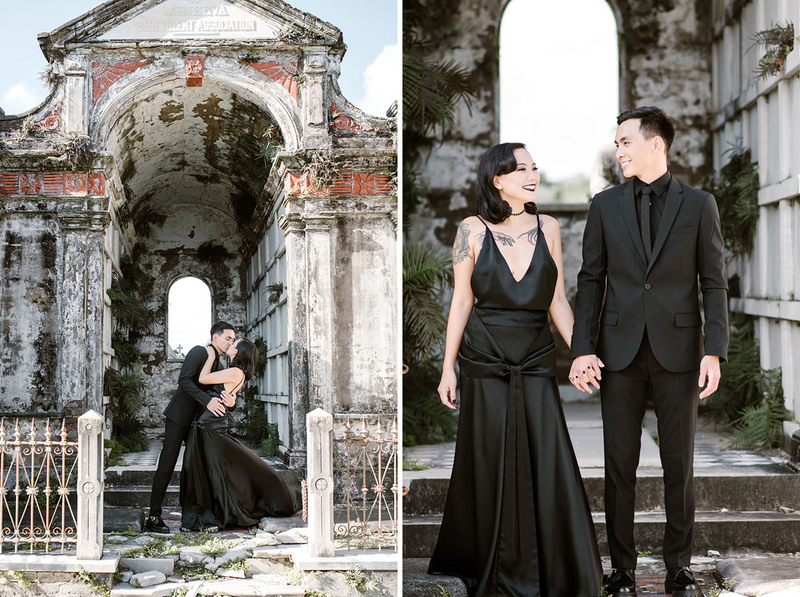 You can say that my darker sense of style, which has undoubtedly rubbed off on An, helped us fit into the backdrop. 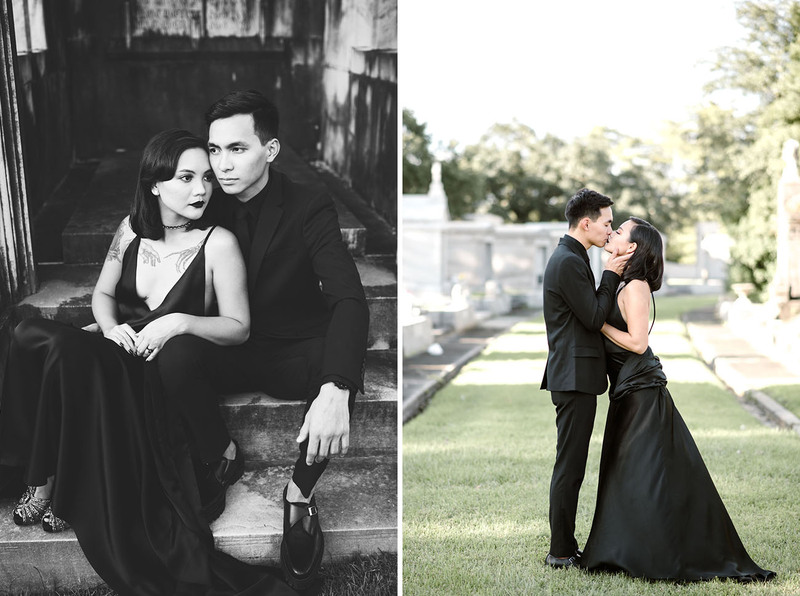 Cecile + An knew each other in school (Cecile endearingly calls them the “anti-high-school sweethearts”) before they drifted apart during college and reconnected 4 years later, thanks to some very determined friends. When it came to proposing, he’d caught her watching movie theater proposals and intended to do the same. However, when the opportunity came, it didn’t feel like the right moment. Instead, he waited until they returned home and proposed right there in the driveway, with Cecile’s beloved dogs as witnesses! Cecile’s dress was designed by her mother, inspired by the iconic green gown that Kiera Knightley dons in Atonement. 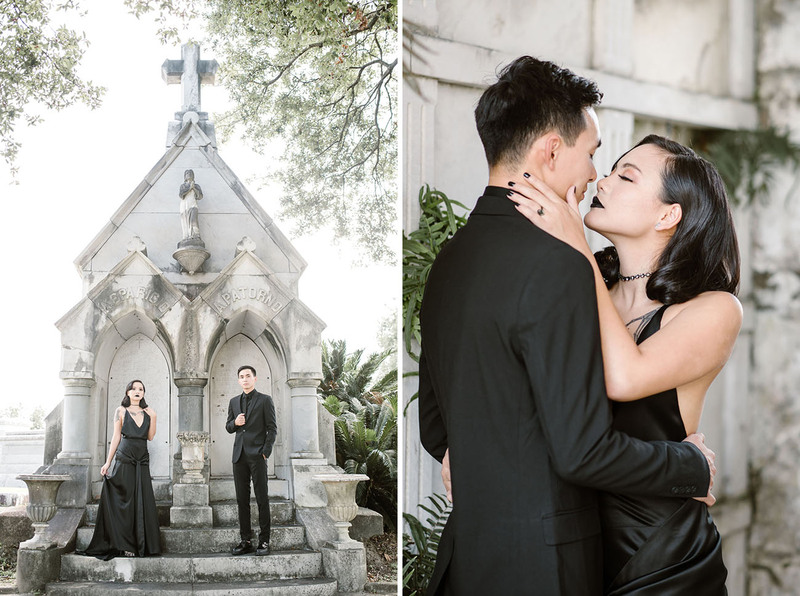 As far as what shooting in a cemetery might have to do with our relationship, I guess it shows how An has been able to embrace all my oddities! When we went to Paris with another couple and had just a single day to ourselves, we wandered the catacombs and a cemetery instead of picnicking in front of the Eiffel Tower. I’ve never met anyone else who wouldn’t question that decision. When you know, you know! 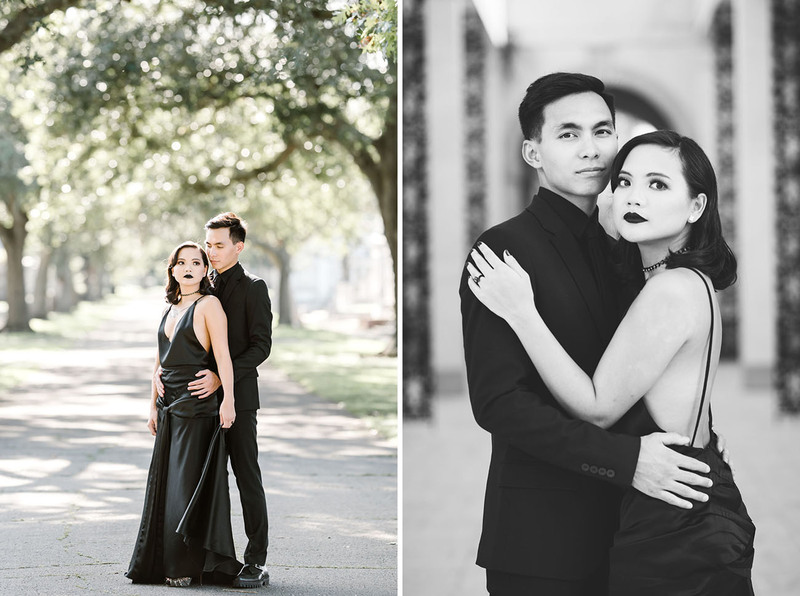 Congrats to Cecile + An! Stunning! Fabulous photos! This is art!